mushrooms per year. 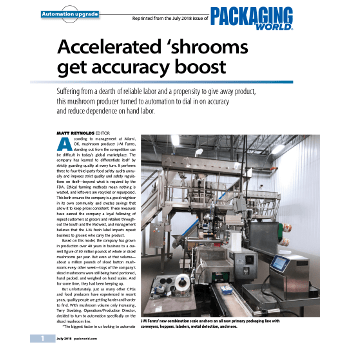 But even at that volume about a million pounds of sliced button mushrooms every other week—trays of the company’s sliced mushrooms were still being hand portioned, hand packed, and weighed on hand scales. And for some time, they had been keeping up..